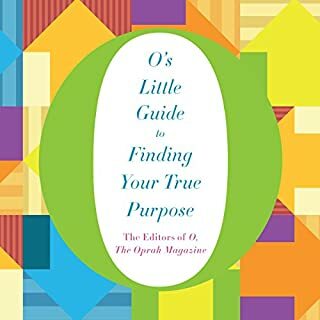 An engaging mix of inspiring advice and real-life stories of self-discovery, O's Little Guide to Finding Your True Purpose will captivate anyone who's ever been beckoned by a dream. Featuring some of the best work to have appeared in O, The Oprah Magazine, this rousing collection is all about helping listeners to hear and heed their calling. If you are looking to find your purpose in life, this is not the book. The book is not clear in its content. I bought the audible version and I regret it.